The World is a Little Vile Lately…….Yes? There is a line from the Dickens’ classic, A Christmas Carol, that I have always liked. It’s enough for a man to understand his own business, and not to interfere with other people’s. Mine occupies me constantly. Now in the context that this statement was meant, Dickens’ is clearly showing how isolated Scrooge has made himself by cutting himself off from his fellow-man. That said, In as much as I DO feel we all need to help others, I have found some solace in that statement of late. If you see yourself in what I am about to say, think about it. If it’s not you, than it’s not about you. The reason I have taken solace in that phrase is that as I roam around and read various conversations, I’m absolutely floored at the absolute contempt people have been toward one another lately. 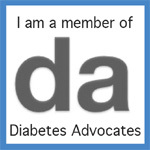 I believe, just me-DiabetesDad, that because someone very strongly is in favor (or not) of certain results, people, movements, etc. should not allow people to say; “I know this is wrong to say but I just have to…….” and some long tirade ripping people apart follows. The first amendment, again–to just me, also comes with serious responsibility. It’s a huge responsibility and it needs to be taken very seriously by everyone. The freedoms we express should be in check when it comes to the vile and poison so many are revealing—–ALL THE WAY ACROSS THE BOARD. And because some do it, if we continue to believe that it gives everyone the right to do it; we could be in serious trouble. I choose to focus on my family, my passions, and things which are important to me……”mine occupies me constantly”. The key word here is, “DO”. Much energy is being spent in vile shouting, from ALL SIDES of this discussion, might we all be better off with more ‘doing’. Be the CHANGE. No one wrote a book about someone who was GOING to do something, they write books about those who fostered change. How you get there, is your choice.